This Memorial Day belongs to the Hatfields & McCoys, well at least to the new original mini-series from The History Channel. 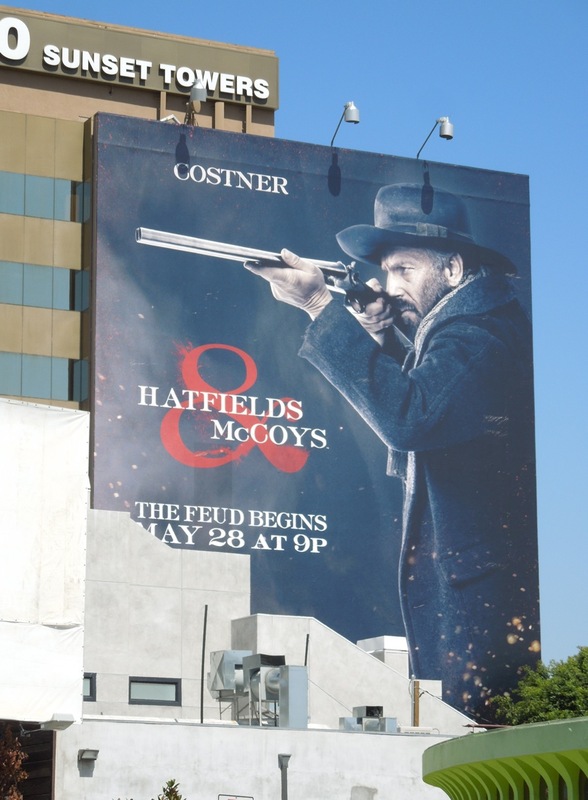 The three-part drama airs over three consecutive nights and the true American story about a decades long family feud really brings out the big guns in the form of Kevin Costner and Bill Paxton to lead an all-star cast. 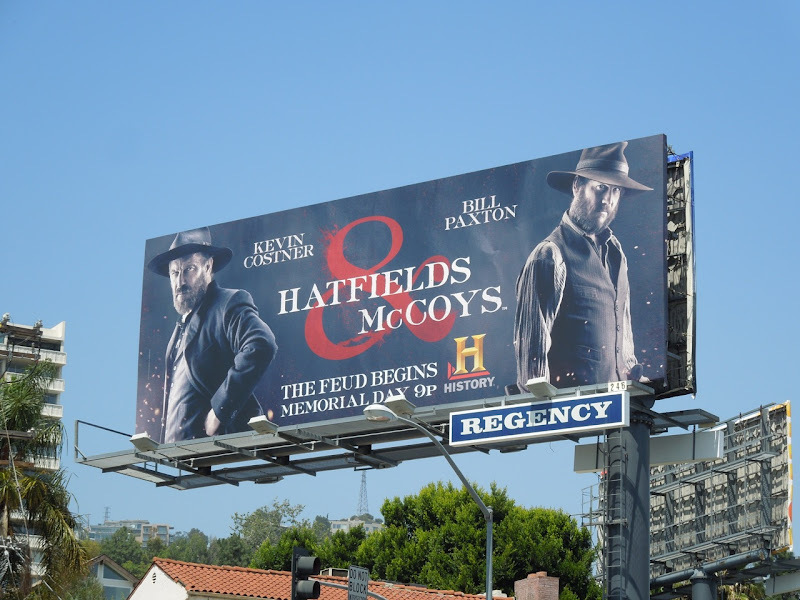 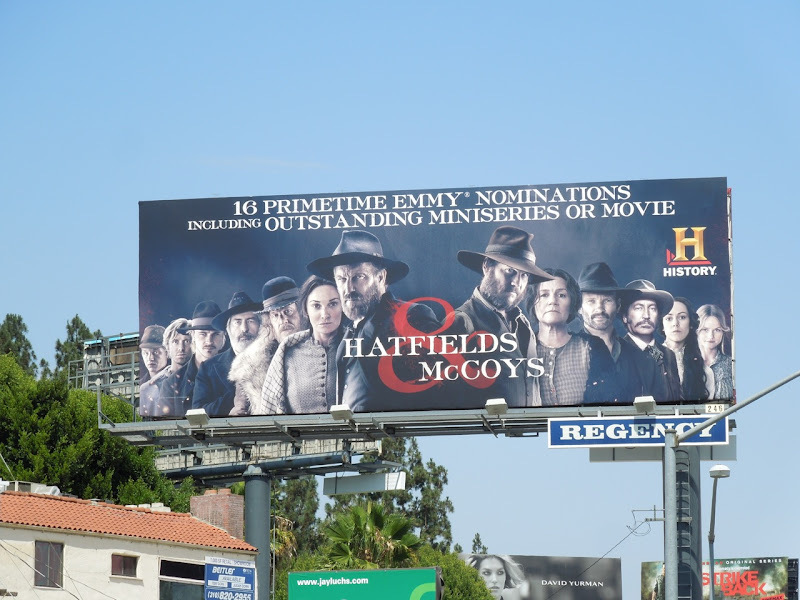 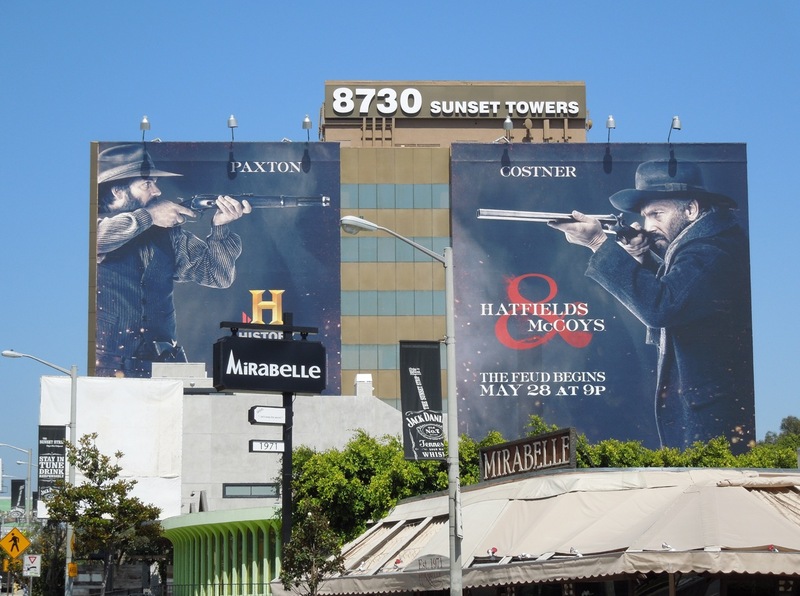 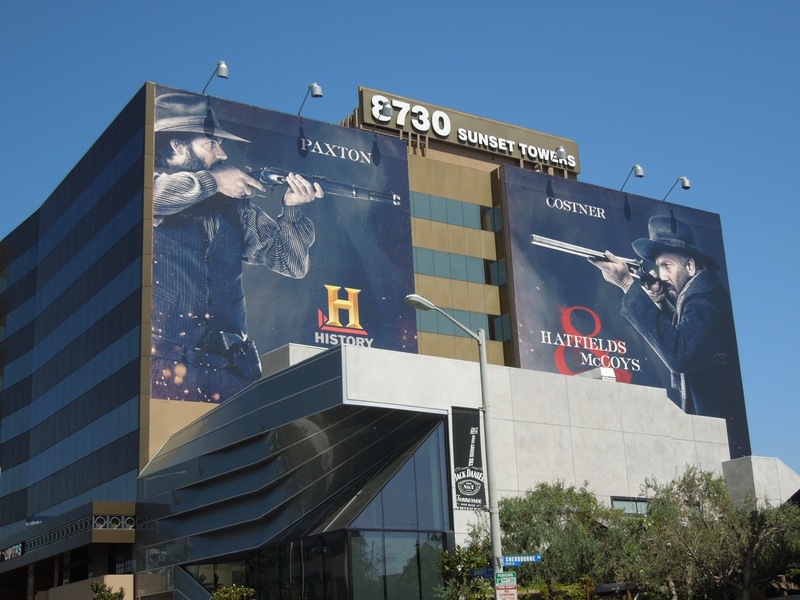 The show has made a stand at L.A.'s Sunset Strip with this giant double billboard featuring the two heads of family facing off against each other, plus this other standard billboard at Sunset and Holloway Drive snapped on May 8 to maximize the series impact in this busy traffic corridor. 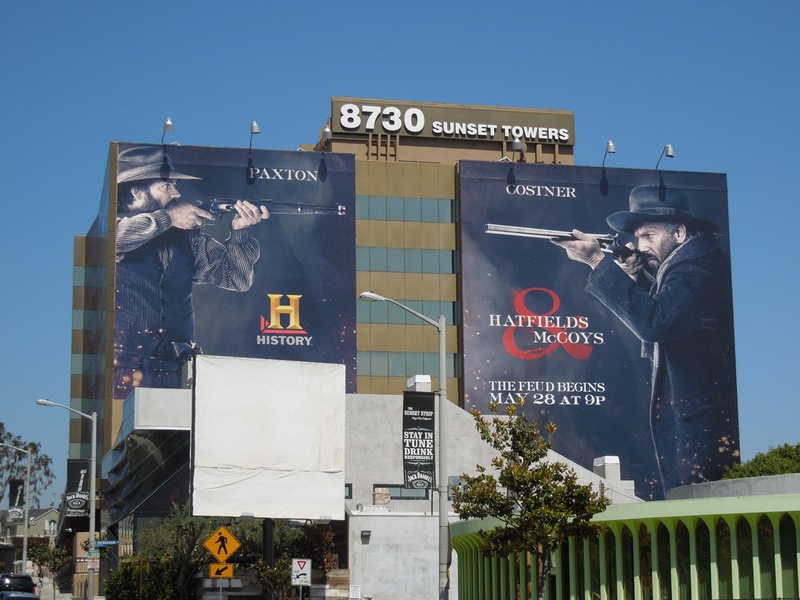 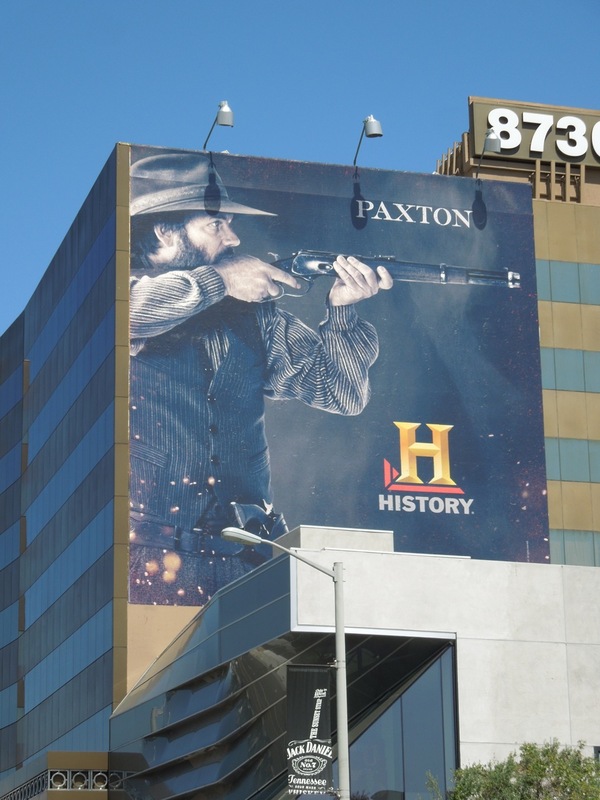 In addition to the super-sized ads, this standard landscape version of the same face-off creative was captured along Pico Boulevard near La Cienega Boulevard on May 22, 2012. 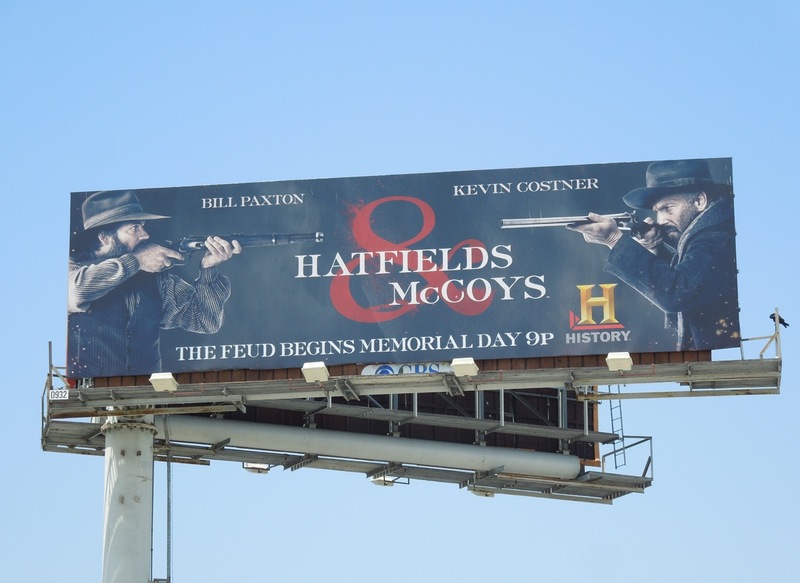 Get ready for tensions to mount between West Virginia and Kentucky and for clans to clash after the end of the Civil War in this new six-hour drama. 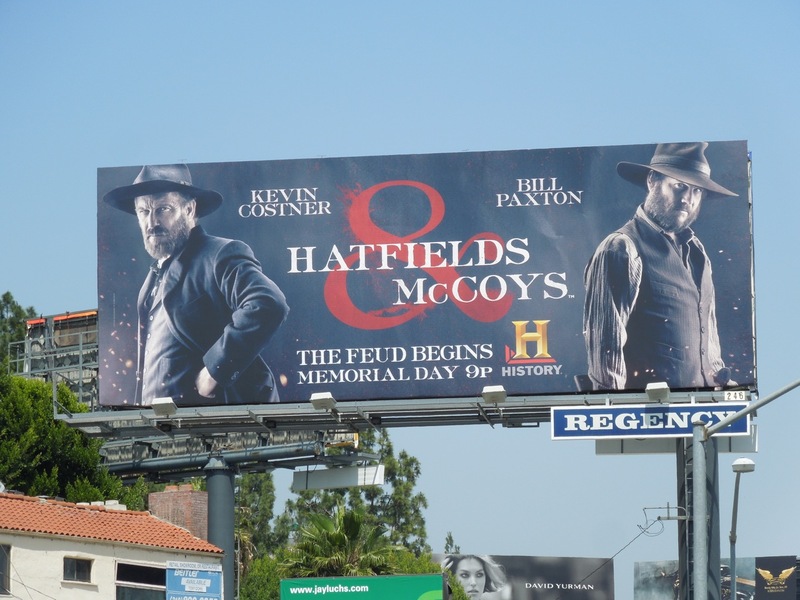 Let's face it, there's nothing like a good family feud on a holiday weekend to liven things up. 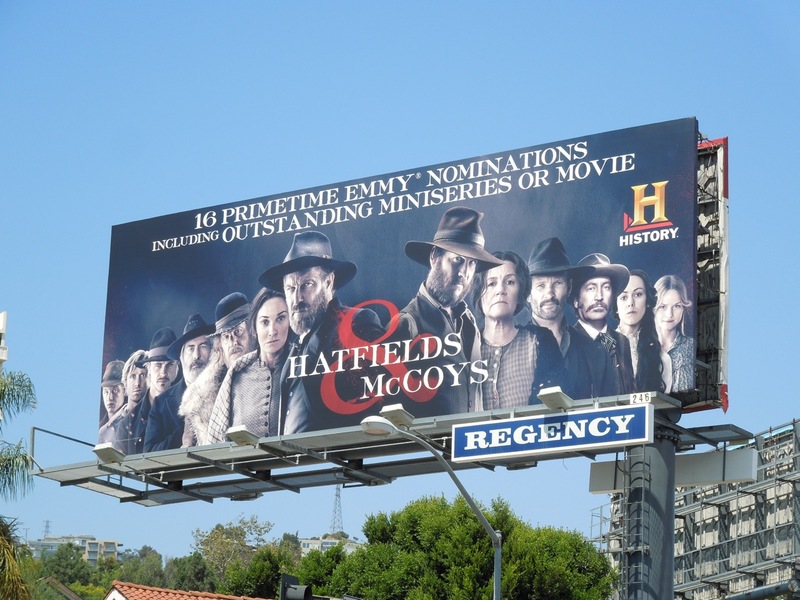 UPDATED: It looks like someone enjoyed the Hatfields & McCoys, as it's garnered an impressive sixteen Emmy Award nominations. 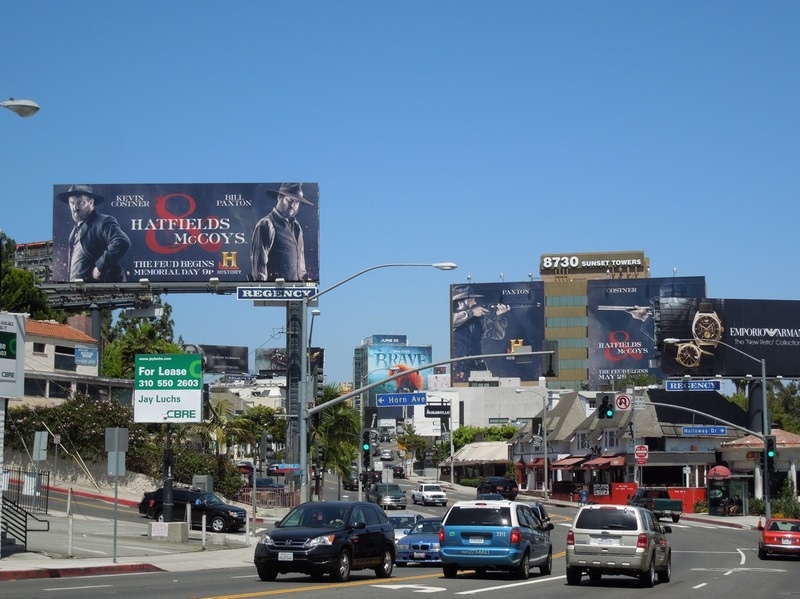 This celebratory billboard featuring the larger cast for the historic mini-series was snapped along Sunset Boulevard at Holloway Drive on August 1, 2012.